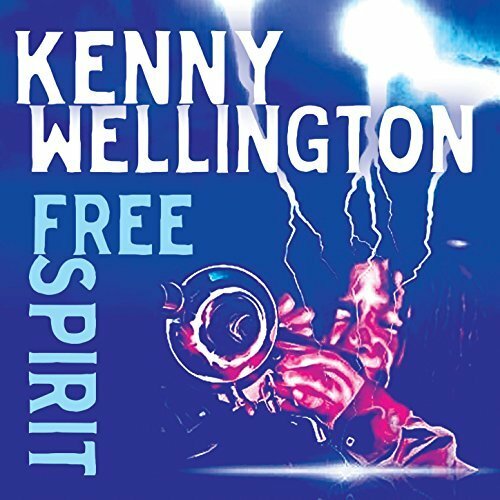 Jazz trumpeter Kenny Wellington is one of the founders of the legendary British jazz funk band Light Of The World. Wellington is also a member of the offshoot band Beggar & Co. Kenny performed with Tom Browne, Tina Turner, Incognito, Spandau Ballet, Boy George, and many more. His new solo project Free Spirit (2016) is inspired by the horn players of the past Donald Byrd, Jimmy Owens, Chuck Mangione, Eddie Henderson, Freddie Hubbard, Miles Davis and continues the tradition of British jazz funk and the acid jazz genre. Kenny performs on the new album trumpet, flugelhorn, keyboards, percussion, backing vocals, all the programming and bass. Further musicians are David Baptiste (sax, flute, backing vocals), Jerome Harper (trombone), Clifford Rees (strings, violin, cello), Camelle Hinds (bass, percussion), Breeze McKrieth (guitar), Toby Baker (synthesizers), Steve Salvari (keyboards), Billy Osborne (drums), Ian da Prada (vibraphone), and Augie Johnson, Bobbie Lee Anderson, Gee Morris Osborne, David Lee Andrews (vocals). After more than five years since his last release, Boston-based funk and retro-soul musician Big Ben Hillman is finally releasing his debut full-length solo album. The Friday Night Consortium, a collection of a dozen all new original Hillman compositions, runs the gamut of soulful grooves; from the up- tempo kick off number “Let’s Get Crazy” and the smooth dance-floor grinder “Friday Night,” to melodious ballads like “Beautiful Stranger” (a duet with Boston-based songstress Lydia Harrell) or feel-good disco romps like “It’s Too Easy,” The Friday Night Consortium has something for everyone. “I’d been recording an album in New York before I got called to go on tour with the Greg Luttrell Band,” says Hillman, who was born and raised in the Boston area. “We spent four months in Shanghai, China. When I got back to the states I was going to pick up where I left off, but instead I ended up writing a whole new album with all new songs.” Big Ben Hillman, best known for hits like “It Must Have Been The Music” featuring Nephtaliem McCrary of The Nephrok! All-Stars and the blues-flavored hip-hop number “I’m Sorry” featuring Boston emcee Fee (One-Love, Ex-Cal) and Meyer Statham (Chucklehead, John Scofield) has spent most of his career as hired freelance keyboardist, percussionist and background vocalist. He’s performed with local acts such as D-Tension, The Boston Horns and Michigan Blacksnake as well as major artists as diverse as hip-hoppers De La Soul and The Wu Tang Clan and rockers like Les Claypool and Jimmy Buffet, yet Hillman says that writing and producing music has long been his primary aim. Get this funky feeling at CDBaby. Black-Forest-born Arno Haas released his debut album Magic Hands in 2013 receiving high accolades by critics. His sophomore album Back To You is scheduled for release on October 22, 2015 on mochermusic. Produced by Tom Saviano the following musicians help to create this new project Arno Haas (sax), Al Jarreau, Evelyn Kallansee, Bill Champlin (vocals), Michael O‘Neill, Ralf Gugel, Benni Freibott (guitars), Randy Waldman, Rainer Scheithauer (pianos), Joel Taylor, Stephan Schuchardt (drums), Alvin Mills (bass), Arno Lucas (percussion), Chuck Findley, Jamie Hovorka (trumpets), Reggie Young ( trombone), Tom Saviano (Fender Rhodes), Ina Veli, Kathleen Sloan, Jenny Takamatsu, Anna Kostyuchek (violins), Vanessa Fairburn Smith, Alisha Bauer (celli). The album starts full throttle with the title song Back To You. 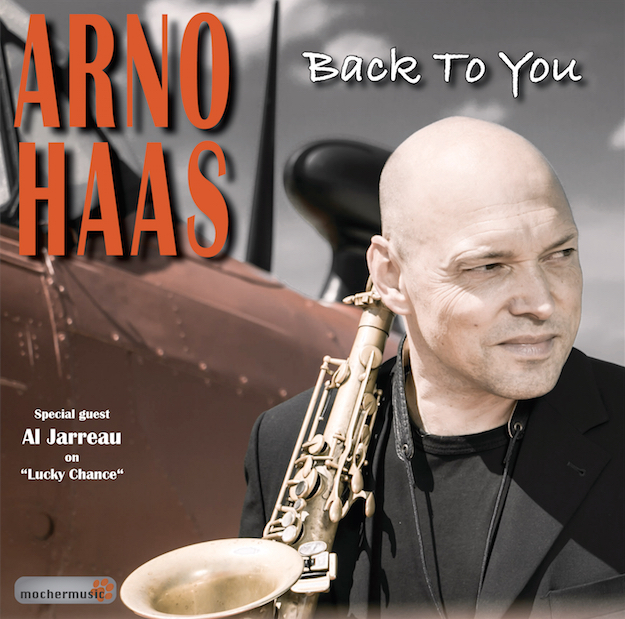 Perfectly arranged by Tom Saviano supports the brass group saxophonist Arno Haas. 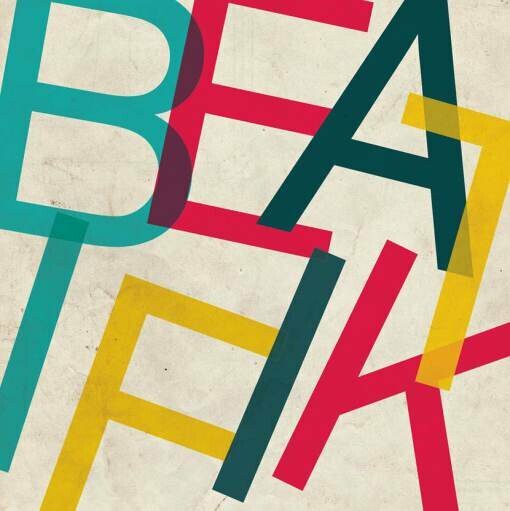 A treat for fans of cultivated jazz music with the emphasis on horns. Creepin’ Shadows offers in contrast a mellow ballade with the soprano sax in the lead. He is elated accompanied on the piano by Randy Waldman. Finally, the song picks up speed to gently say goodbye. Roger Odell, drummer/composer is known as a member and co-founder of the famous UK-based group Shakatak. With more than 50 albums the band is one of the most productive world wide. Beside this all band members have already released own solo projects. In case of Roger Odell it’s the formation Beatifik. In late 1999/2000 Roger recorded the first album entitled Blue Window. One can call it a family project, because his son Jamie played on keys, his wife Larraine and Jacqui Hicks were the featured vocalists, his daughter Maxine sang background. Now Roger is back with the sophomore album Intrigue (2015). The new album features Larraine and Jacqui again. Roger plays the drums and composed most of the songs, while Jamie plays all keyboards, recorded and engineered the project. In addition perform Mornington Lockett on saxes and Keith Winter on guitar. Keith was an ex-member of Shakatak, before he had to leave the group because of a nerve disease of his fingers. After his miraculous recovery he has returned to former strength. Camera Soul is a powerful jazz-funk ensemble, produced by Mr. Marco Rossi of Azzurra Music (Verona) and released in the Americas by Kathryn Ballard Shut of TIMKAT Entertainment (Denver, Colorado). Inspired by legendary horn line, soul, R&B, and jazz-fusion artists such as Earth, Wind and Fire, The Commodores, Tower of Power, and Stevie Wonder, as well as neo-soul grooves by Erykah Badu and Jamiroquai, the group is based out of southern Italy (Bari), and led by veteran composer-arranger brothers Piero and Pippo Lombardo. Camera Soul’s distinctive sound is further defined by the smoky and soulful voice of lead vocalist, Serena Brancale on the group’s first two albums (2011-2013), and Maria Enrica Lotesoriere (2014). The group features a world-class lineup of studio and live performance musicians, including Pippo Lombardo (piano), Beppe Sequestro (bass), Francesco Palmitessa (lead guitar), Gianluca Cardellicchio (rhythm guitar), Liviana Ferri (percussion), Mimmo Campanale (drums, 2011-2013), Daniele Scannapieco and Bruno Tassone (saxes), Gianfranco Campagnoli (trumpet and flugelhorn), and Piero Dotti (background vocals). On Not For Ordinary People, the Brothers Lombardo also led a stellar global songwriting team. Together with their compositions, they also welcomed original music and lyrics from Serena Brancale and Denver-based jazz pianist and ASCAP composer, Kathryn Ballard Shut. The group has released third albums – Words Don’t Speak (2011) and Not For Ordinary People (2013). Whereas Words Don’t Speak reached previous critical acclaim as a “chill” or “smooth” effort, Not For Ordinary People counts on powerful horn lines, deep funk, complex arranging, impassioned writing, and superb engineering, culminating in a stronger effort than the debut. Their newest album is entitled Dress Code and available now. For more information read this.